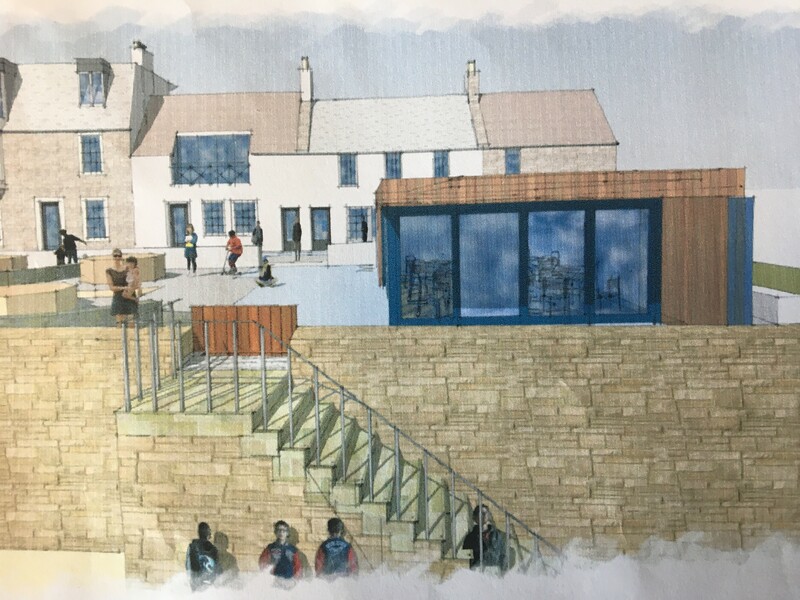 With planning permission confirmed, and ground works started for our new extension to the current beer garden, work will commence on our exciting new addition – The Ship’s Cabin towards the end of 2018. We are expecting work to be finished mid 2019, ready for the busy season ahead. The cabin looks out directly onto the sea, and has floor to ceiling glass walls, perfectly capturing the bewildering view that Elie Beach has to offer – making it an ideal location for that special family lunch, a wedding reception/ceremony, a birthday dinner or simply a friendly gathering with old friends and family. The Ship’s Cabin will be available to hire out exclusively for up to 30 guests, and will have a couple of its own personalised menu’s available for all functions, leaving each event as individual as its own. The Cabin is available for day time hire, evening hire, or all day hire, and each event will be uniquely tailored to each guests requirements. The Cabin will also serve as the cricket pavilion for The Ship Inn cricket match days. We are very excited to share this with you, and look forward to hosting many events and special occasions in The Cabin. We are taking enquiries, so please feel free to contact us should you be interested in further information on our Cabin.